Seventh Journey Book 1 is now on Kobo! Kobo not only has their own ereader devices, but also offer Kobo Apps that can allow you to read books on your Phone, PC or Tablet. These forms of reading are becoming increasingly more popular and now represent a vast quantity of sales in the book industry, giving new authors more ways to reach their audience. Books can be gifted to others, or bought for yourself and displayed in a virtual library which neatly organizes your collection. The devices require an internet connection to synchronize your purchase, but once this is done you’re good to go. Page flipping animations, and nice bright graphics enhance your virtual reading experience in a convenient compressed fashion. All you’ll need to do is enter a username and password to setup your account. 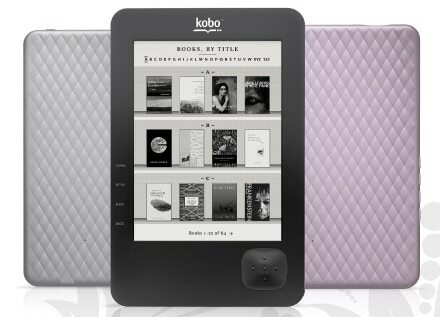 The Kobo also comes in a variety of models. The more expensive editions usually feature more advanced operating systems like Android, and allow you to check email or even play games. This expands the functionality and gives you some simple PDA (Personal Digital Assistant – like iPhone etc.) capabilities and allows you to surf the web. The more advanced features might be good for you if you don’t already have an Android device, or you may just simply want to read books and choose the simpler model – the choice is yours. The entry level model features Wifi and comes in either white or black with over 100 pre-loaded classic novels. Please be sure to add Seventh Journey to your virtual library today! Kindle Vs. Nook – Which eReader is Better?